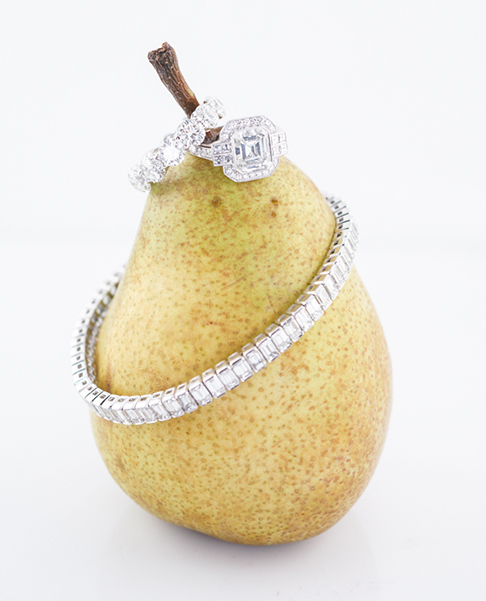 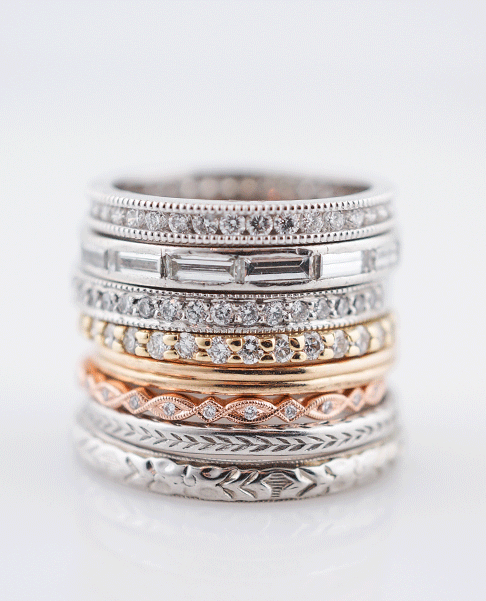 Pair your engagement ring with a vintage wedding band. 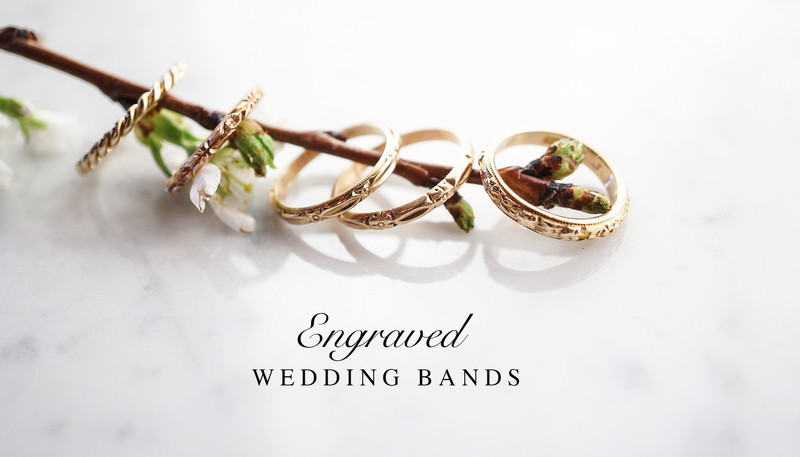 Our collection of engraved wedding bands consists of one of kind pieces made from the early 1900’s to the 1950’s. 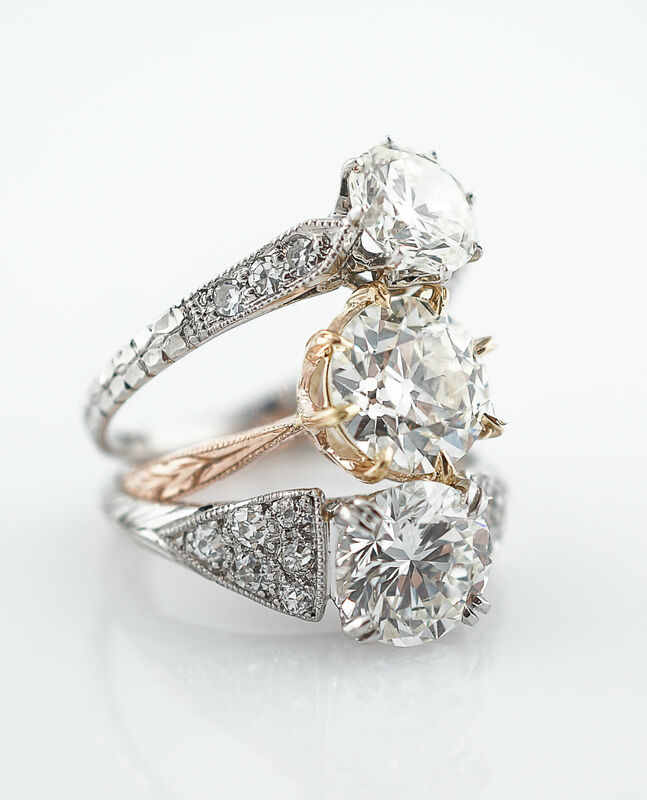 Additionally, we also have a collection of modern custom designs created by our master jewelers that have all the beauty and elegance of a vintage piece.